Three-time Olympic, five-time World and thirteen-time European champion swimmer Katinka Hosszú revealed the countdown clock of the 17th FINA World Championships in Budapest. State Secretary for Sports, Dr Tünde Szabó and Executive Director of Budapest 2017, Éva Szántó also spoke at the festive celebration at the Hungarian capital’s most central location, Erzsébet Square. 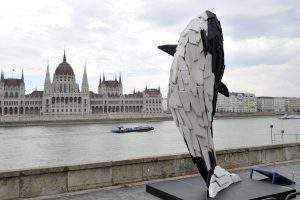 The countdown to the FINA World Championships has officially begun by revealing the unique, interactive installation and clock at the heart of Budapest on Sunday at 9:53 am. 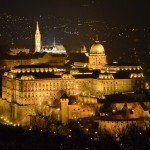 The timing is not a mere coincidence: the clock started exactly 117 days, 11 hours and 7 minutes before the Opening Ceremony of the greatest event Hungary has ever hosted. The breathtaking installation will remain standing on Erzsébet Square until the end of the Championships. Besides displaying the time left until the start of the Event, the tower-like clock entertains the public through interactive games linked to the #selFINA mobile application (already available for iOS, and soon for Android as well). 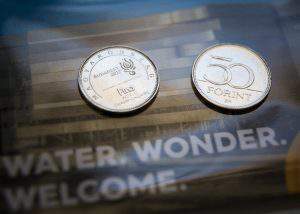 “Hosting the FINA World Championships is a great sport diplomatic success that strengthens the Government’s good decision of raising sports as a strategic branch for Hungary, financing and supporting it directly, constructing and developing venues and facilities and hosting international events in order to make the country’s sports more prosperous and famous around the world, and to secure more active, healthier generations” – said Dr Tünde Szabó, State Secretary for Sports. 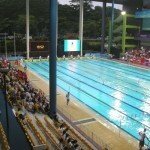 “The FINA World Championships is among the greatest and most popular sporting events of the world – it is followed by around six billion viewers internationally, while tens or hundreds of thousands of spectators will have the chance to watch the action live (…) Not only the venues will be spectacular, but the competition itself as well: the heroes of the Rio Olympics will fight again in Budapest, and we will see the future idols of Tokyo 2020, and hopefully some great Hungarian triumphs, too. We will celebrate champions in a total of 75 events at the 17th FINA World Championships – explained Éva Szántó, Executive Director of the Budapest 2017 Organising Committee in her speech. “I have already learnt that racing in front of home crowds should make the competition even more inspiring, more fun – not extra pressure on the athlete. Having such a great number of fans supporting us is quite extraordinary, we see the positive side of it. The anticipation gives me additional energy to swim those last couple of meters at my trainings knowing what is waiting for me this summer” – said Katinka Hosszú. 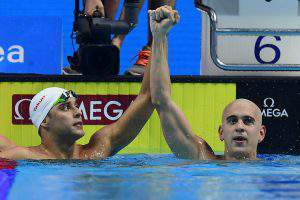 The 17th FINA World Championships will be held between July 14 and 30 in Hungary. 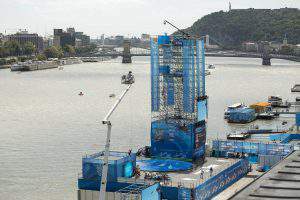 Athletes will compete in six aquatic disciplines (swimming, diving, synchronised swimming, open water swimming, water polo and high diving) in five venues altogether in Balatonfüred and Budapest (Danube Arena, Alfréd Hajós Swimming Complex, Batthyány Square, City Park).